Nothing says summer like a night in a tent and a meal cooked by a campfire. Here’s how to introduce your family to camping. 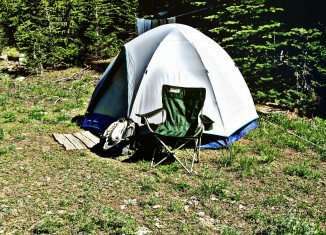 Camping may be more affordable than many other vacations, but there are more reasons to try it than saving money. Many families – parents and kids alike – find camping allows them to spend unique, quality time together. Just ask Goldie Silverman. The Seattle grandmother still regularly hikes, backpacks and camps with her entire extended family. She wrote her first book on the subject, Backpacking with Babies and Small Children, in 1975. The art of massage isn't just for injured athletes or stress-filled office workers. Babies can benefit too.